HexaCorp has several years of experience in SharePoint platform, our experts possess the required expertise and skills to handle the setup and support of even the most complex SharePoint environments. Our comprehensive SharePoint Support Services is designed to address every aspect of maintenance and support of SharePoint 2007, 2010, 2013 and SharePoint Online environments. Custom Solutions that require full trust the SharePoint Server (Farm solutions) are not available in SharePoint Online. To develop custom solutions in a hybrid scenario or cloud only approach organizations must use the SharePoint Apps model. SharePoint Apps (Add-ins) are self-contained components that extend the capabilities of SharePoint platform to solve business problems. Even a well-funded and thought-out project can fall flat on its face. Knowledge sharing systems are vulnerable to failure. The level of success is directly proportional to the participation and commitment level of users throughout the enterprise. User adoption is linked to job performance and creating incentive programs to motivate employees do not always work. If the knowledge management sharing system makes life more cumbersome for employees, the adoption level will be low. Once data is organized with appropriate content management and reporting tools, it must be accessible. This is best done through a secure Intranet and/or Extranet portal. The implementation of either solution however, can be complex and challenging. Many people expect enterprise search to work the same way as Google and Yahoo. They think enterprise search is a simple utility that can be plugged into a website or other application and will produce highly relevant results. The reality is that the internet is different than an enterprise. Corporate IT environments have grown much more complex. This makes search work inside the enterprise more complex and requires a comprehensive understanding of the relationship between content, metadata and taxonomy in addition to the actual search applications. Taxonomy is the classification of an organization’s data, information, content and expertise into a hierarchical structure. When keywords, concepts and categories are applied to organization content they are referred to as Metadata and become a powerful tool in making information work across the enterprise. Consistency and efficiency are achieved when taxonomy is effectively integrated with content management, digital asset and search engines and portals systems. It creates a controlled vocabulary which makes information more accessible, easier to locate and ultimately, more valuable. We will work with you through the following steps of taxonomy strategy, content/ metadata audit and taxonomy framework. Our objective is to produce a taxonomy aligned with your business goals. An important, but often invisible, part of any site is its governance model—the set of policies, roles, responsibilities and processes that are established to determine how users use SharePoint. A SharePoint Intranet portal is an effective way to centralize access to enterprise information and applications on a corporate network for thousands of users. It is a tool that helps a company manage its data, applications and information more easily. This produces organizational benefits such as increased employee engagement, centralized process management, reduced new staff on-boarding expense and provides the means to capture and share knowledge (e.g. via tools such as wikis/blogs). We have more than a decade of handling application development using collaboration and messaging tools like Lotus Notes and SharePoint. Whether you are interested in migration of your Lotus Notes databases to SharePoint or in a co-existence strategy, our experts will provide the right path and draw on extensive expertise with tools appropriate for your organizational needs. 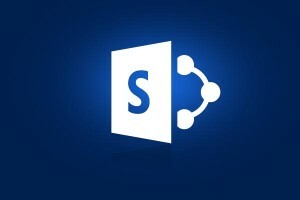 Whether you are looking to upgrade from older version of SharePoint to SharePoint 2013 or want to migrate to your internal SharePoint farm to SharePoint online or considering a switch from legacy CMS to SharePoint, our experienced SharePoint migration experts will get the job done in an efficient and affordable manner. SharePoint offers powerful solutions to automate and integrate complex business processes to avoid many of the errors, version conflicts, and duplications associated with doing the work manually. Multiple paper forms can be transformed into a single electronic version within SharePoint. Workflows are then established to guide the electronic form through the validation, review and approval processes, which increases efficiency and improves the user’s ability to search for and track progress of requests.